How great is the NFL? I can think of a lot of great television dramas happening in this golden age of television making, but I feel like The best storytelling every week is just NFL games playing out. Is there anyone left in survivor pools? The football picking world landed on huge favorites Denver and Atlanta this past week and they both went down tubes. Was there anyone in the world with any inkling that the Giants would go to Denver and completely humiliate them? You gotta love the NFL. The Giants beating Denver may not have been much more than the fact that Ben McAdoo stopped calling the plays…and smartly did not telegraph the change all week. Just the last-second surprise. NFL coaches are so predictable that when they do something unpredictable by accident it completely throw off the other teams who prepare for everything to be predictable. I don’t know what it was that happened here -- but the Denver Broncos sure didn’t look like the best team in the NFL Sunday night. Not even close. Some people thought Denver might have the best team in the NFL…now, those same people wonder if Denver will even make the playoffs…or will have a winning record. You have to love the never-ending plot twists of the NFL. Every week we run from one extreme to the other in the NFL. Another lead character gets killed off out of nowhere (Aaron Rodgers) and it totally changes the future for that team and all the teams who have to play them on the schedule ahead. Just when you have things figured out the NFL changes the puzzle/story. I have mentioned it before, but I like to call the Denver Broncos a ‘lazy elite’ defense. I think we saw that in this game. We know how great this defense can be…so, how in the world could they get pushed around by an offense missing all of its wide receivers and with the worst running game in the NFL? A winless team going to the difficult atmosphere in Denver…with Denver coming off a bye – and beats them? That makes no sense. The only thing I can do to apply logic to it is to fall back on the coaching – Vance Joseph just is not a genius among men. When you lost a battle of wits to Ben McAdoo…that’s not a good thing. Denver has the foundation to be a Super Bowl champ…but it’s operating more like a .500 team. That’s the beauty of the NFL, you could say that about most top contenders this year. Denver should be better than this. I don’t even know what to say about theGiants here in this game. They had every reason to lose and yet they went out and destroyed the Broncos. It wasn’t even lucky turnovers that caused this – it was the Giants coming out and socking Denver in the mouth. Denver had no answer. That’s why I can’t see Denver going back to the Super Bowl because the character of this team has faded away since that legendary Super Bowl team/defense. No team should get away with socking Denver in the mouth and get away with it. The 2015 team wouldn’t allow this. The Giants came in playing as bad a football as there is in the league and they just went to Denver and punched a bully in the mouth and the bully tucked tail. You know what’s crazy? The Giants aren’t out of this thing yet. If the Giants can win next week to crawl to 2-5 and then somehow get to 3-5 while/if a 4-4 record is the final wild card. That sounds good but the next two games are Seahawks and Rams…even hosting them both, I cannot imagine the Giants to win both. -- I was so excited to see that the Giants had a new play caller, and that guy was smart enough to design the passing game to feature Evan Engram (5-82-1/7). It’s sad that we have to be in awe that a coach does something a child would see as logical…but that’s the state of NFL coaching – whatever makes the most sense…they usually do the complete opposite. Shocking they get fired every 2-3 years and then go onto broadcasting careers and never say anything of value. Where was I? Oh, Engram finally got more of a push. The good news is – they haven’t even scratched the surface with EE. The additional good news…Denver had to know this was coming or sensed it after the first drive and they didn’t really react to it. I didn’t see Aqib Talib lording over him all game…it’s hard for a CB to do that because Engram lines up like a traditional TE so often. There was a chance Engram could have really racked big numbers in this game the way it started for him BUT the Giants got up and just sat on the lead with the run. Engram caught 5 of Eli’s measily 11 completed passes this game. I’ll keep saying it…Engram is going to change your fantasy teams now and especially into the future. The future #1 tight end in all of fantasy. He’s currently #8 in PPR PPG YTD…#7 taking out Charles Clay. He’ll be top 3-4 before long in 2017. -- A shocking Orleans Darkwa (21-117-0, 1-13-0/1) performance. Shocking considering how bad the Giants run game has been and how great the Denver run defense was. Darkwa sprung a 47-yarder here but had just 70 yards on his other 20 carries…3.5 yards per carry…which is more what you expect. You can’t be excited for his FF future on this team in this offense. You can’t be excited by SEA-BYE the next two weeks. Which is also why you can’t be excited for soon-to-be-forgotten Wayne Gallman (9-27-0, 2-5-0/3) either. The Giants’ RB group is a very dark hole leading to nowhere most every week. -- Denver had the opposite outlook coming into this game at RB – two good RBs facing a bad run defense. So, what happened? Just like everything in this game – the reverse happened. The running game got stuffed by NYG. Besides a great Week 2 vs. Dallas, C.J. Anderson (9-17-0) has been garbage pretty much this season. Carries in a game of 8-20-9 the past three weeks. Erratic, unfruitful results from CJA most of this season. The window could be opening up for Jamaal Charles (5-19-0, 1-2-0/3) to become a fantasy savior in the next few weeks…a hostile takeover of C.J. Anderson. Think about it. CJA has been awful for weeks. Denver has lost two of their last 3. Charles is up to his same old tricks…5.1 ypc on the season. He looks better than Anderson in every way. Denver may be ripe for a change in philosophy this week. There’s only one barrier…Vance Joseph is dumber than a box of rocks when it comes to talent assessment. You can’t count on him to figure out anything right in front of his face. As the world celebrates Adrian Peterson…Jamaal Charles looks better, has performed better than AP this season (pre-Week 6) and resides on a bench behind wildly mediocre for years C.J. Anderson, on a team that has lost two of its last three and has scored 16-16-10 for points the past three weeks. Change might be coming. Can you imagine the output from a 15+ touch per game Jamaal right now? What’s Jamaal trading at after two weeks of nothing? An RB 3.5? He has to be easy to acquire, more difficult if the owner has CJA…or if you ask specifically for Jamaal and get their antennae up. Best to hide in a multiplayer deal as a throw-in. Devontae Booker (1-2-0/2, 4-78-0/6) having a decent game receiving makes this even more under-the-radar as he seems like he could take touches. He got touches late in a depressing blowout. -- Trevor Siemian (29-50 for 376 yards, 1 TD/2 INT) started the season with 6 TD/2 INT…and has fallen to 8 TD/6 INT overall with a terrible last three weeks. You cut and run on him for a variety of reasons…for the opposite theory why we went after Goff heavy and ditched Siemian hopes a few weeks ago – the head coach. Don’t trust a Vance Joseph offense/team for whatever a “Vance Joseph offense” means. -- The answer to the ‘What NYG WR will emerge?’ question post-OBJ was ‘None’, based on this game. WRs had two catches for NYG in this game. Again, an odd game flow for NYG. The answer will be Sterling Shepard but probably not until Week 9, after the Week 8 BYE. He will be the clear #1 WR…trading for WR3 prices now and is available on waivers in places. 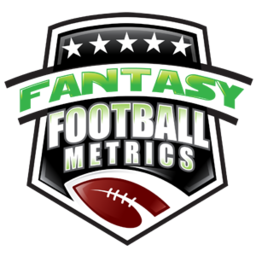 -- This is the week to deal Demaryius Thomas (10-133-0/14) for anywhere near his old value. Thomas hasn’t scored a TD in 11 straight games going back to 2016. He has 1 TD in his last 14 games, 2 TDs in his last 16 games. Steady catches and yards, but the TDs have gone away. Working without Emmanuel Sanders for a few weeks…I don’t know that it helps him either. He’ll get all the coverage attention. And what if Siemian is really hurt? Then DT is dead…as is Sanders. -- If Siemian is OK, and if Sanders is down for a while – Jordan Taylor (3-26-0/4) is a talented Riley Cooper/Adam Thielen-ish type of receiver that could have a moment. Sanders would need to be down for the season to get more FF-interested. -- 2nd year DB Justin Simmons (11 tackles, 2 TFL, 2 PDs) is averaging 5.8 tackles, 0.8 PDs per game in his new starting role. He’s a talent. His IDP numbers keep slowly rising week-after-week. -- Brandon McManus (1-3 FGs) missed a chip shot FG and then had a 50+ yarder blocked. His confidence appears rattled. I was hoping he’d be a nice play for those in need, looking for a kicker past his BYE week…but he’s in some peril now. Top kicker last year, and now moving towards thin ice a year later.